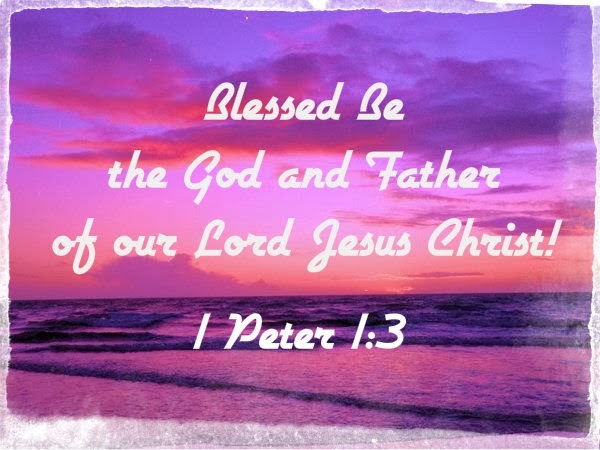 Subject: "God and Father of our Lord Jesus Christ"
These words are written by Peter, a disciple of Jesus. Like the apostle Paul, Peter begins his letter praising and blessing God. 1. The phrase “God and Father of our Lord Jesus Christ” occurs 11X in the New Testament. 2. The New Testament apostles always make a clear distinction between God and Jesus Christ. 1. Yahweh God is identified as the “God” of our Lord Jesus Christ. 2. Yahweh God is identified as “Father” of our Lord Jesus Christ. The early church in the 1st Century worships God, Yahweh. He is the merciful Father who gives us the new life in Christ. He raised Jesus from the dead so that we can have a share in this living hope. Jesus Christ did not rise from the dead himself. It was God who raised Him from the dead and then highly exalted him. Blessed be the God and Father of our Lord Jesus Christ.